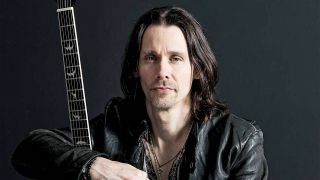 Alter Bridge’s honey-throated frontman Myles Kennedy tells Hammer about his new solo album and what else he has planned for 2018. Your solo debut is the 13th studio album that you’ve recorded. Safe to say you’re not superstitious? What made now the right time to release your first solo record? Most people associate you with much heavier music. What inspired you to take a sharp left turn into acoustic territory? Who were some of your earliest acoustic influences? Did you have a sense of that when you approached your own material? Does this mean that Alter Bridge is out of commission this year? Are you looking forward to touring the album? Is this a one-off or do you see more of these solo outings in the future? Year Of The Tiger is out March 9 via Napalm and is available to pre-order now.